Beth Ekey (left) speaks with representatives of Interactive Kids at a past Deptford Special Education Community Fair. One would be hard pressed to find a community that does not want to be inclusive. For those in the Clearview Regional High School District, they live in one. Clearview’s Director of Special Education Nathan Barnes took his seat in October, and he brought fresh, catchall ideas with him. Barnes served as the director of special education in the Deptford Township School District before transitioning to Clearview. Six years ago while in conversation with a Deptford community member, he learned about a special needs cheerleading group and the positive impact it was having on local kids. “We realized there was nothing that connects parents with these types of organizations,” Barnes said. That conversation birthed the idea of a Special Needs Community Fair to help parents and their special needs children tap into a world of opportunity. The fair’s humble origins metamorphosized into a network of like-minded, advantageous groups aiming to help those in need of guidance. “I’ve seen the impact of it in Deptford,” Barnes said. Now, Clearview will host its own. 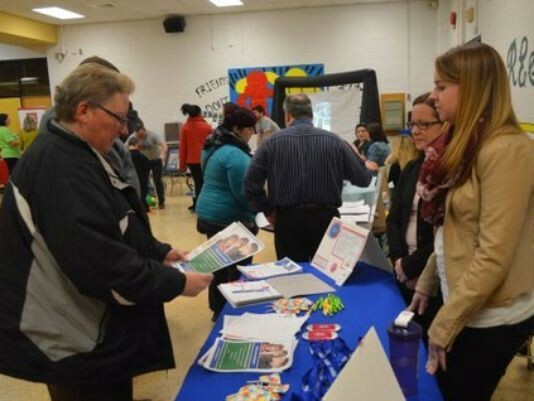 Put on by the Harrison/Mantua/Clearview Special Education Parent Advisory Group, a Special Needs Community Fair will be held from 7 p.m. to 9 p.m., Thursday, Feb. 1 at Harrison Township Elementary School. “The fair is for everyone,” Barnes said. He explained that even if families live outside of the Clearview school district, they are welcome. At the Feb. 1 event, organizations offering sporting, mentoring and nursing information will be available. Also, transitional organizations that help families with their child’s evolution from high school into the working world and higher education will be present. “If a vendor can’t directly help the family, chances are they know of one that can. [The fair] helps families access an already large network of helpful organizations. It helps them find something they didn’t know exists,” he said. Harrison Township Elementary School is located at 102 N. Main St. in Mullica Hill. Parking will be available in front of the school, with overflow in the back. Signs will be posted. The event is free to attend.